It was an unconventional upbringing. Getting used to New York City after such a beginning would be difficult – but when his sister arrives in town fully intending to kick start the apocalypse, it’s all Jacob can do to rally what defences he can to save the city and save the world. It’s hard not to love the concept of this – Jacob, a meticulously nice if rather boring boy is escaping his family cult. Except his family cult is literally empowered with cthulu-esque monsters from the Deeps who are trying to end the world. And can do it. That’s a twist on the cult story. The whole story is set in New York City where Jacob has to fight off his sister Esther using every ally the city has to offer – and it has a lot to offer. The world setting here is incredibly rich with several kinds of gods and pantheons, multiple supernatural creatures, a deep and varied magic system (I love the whole using of stones to channel and shape magic) and a wide selection of mythologies all concentrated into this extremely diverse city. It was huge and it managed not to be confusing because it constantly suggested depth and detail without us having to delve deeply into each one. We get the shape of, say, Antoinette’s voodoo or Dorothea’s knight powers or Carter being a child of the Hindu gods without having to use a vast amount of detail to explain it – but still including enough to get a sense of depth and creation there. The backstory’s there, we’re just not going to bog down seeing it all yet. The story is action packed and extremely tense. Jacob’s fight with few resources against the seeming impossible power of his sister – backed by her completely moral-less pursuit of power. He has to struggle to get people to take her seriously and as the battle continues it gets more and more desperate as each ace they pull up, each master plan they prepare frays and falls in the face of Esther’s power. There’s an amazingly well maintained sense of tension here and a real sense of the threat Esther represents. This is one of the few books where, several time over, it really felt like the story was in the balance and the protagonist could – and probably would – lose. And I loved the ending – I can’t say any more than that without a terrible, unforgiveable spoiler. Jacob is a fascinating character full of levels. He feels a level of guilt for his family’s legacy and actions but isn’t willing to wallow in it. He understands why people are suspicious and wary of him and doesn’t blame them for it, but nor is he going to spend a lot of unproductive time apologising for what his family has done (and it’s a nice combination of both not feeling good about his family’s legacy but not exactly being willing to accept the blame for it either). He’s immensely practical in his thinking, but at the same time very overwhelmed by the situation he’s in – he’s very much a fish out of water and it pretty much shows by how conscientious and careful and meticulous he is – but that also reflects his upbringing (after all, if you’re imprecise and careless when summoning dangerous monsters of the netherworld then bad things happen). He also really shows his combination of being extremely well educated, even classically educated, but at the same time very much isolated and raised in a very rural, unsophisticated area – it’s a really hard combination to pull off and it’s done excellently. On top of all that he has a vast amount of confidence because he has been raised to think how powerful they are (and he does have mastery of an extremely powerful form of magic) while being full of doubt because he is so out of place in New York. There’s so much that goes into Jacob as a character, all of these layers and effects and influences are clear in his character making him very real, very complex and very interesting to follow. 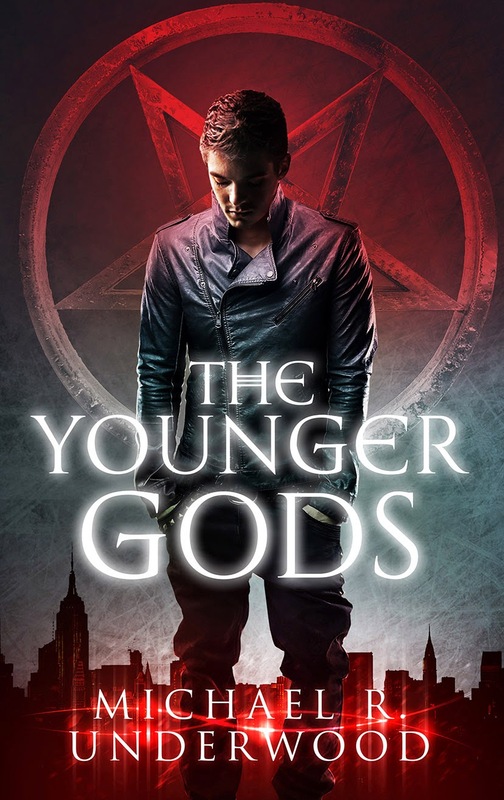 While Jacob gets the most in depth build, most of the major side characters have a decent amount of attention fleshing them out – from Carter the Indian Nephilim with his extremely wealthy family and heavy expectations, to Antoinette, the daughter of a powerful Mambo who inherited her shop, her stock and her connection to the Loa even if she’s not entirely sure she wants it. And there’s Dorothea, one of the Broadway Knights, ex-cop drawn to protect the weakest and most vulnerable in the city after watching her brother’s decline. They all have a story, no matter how briefly alluded to among all the action, any character that is there for any length of time rather than just met in passing has some history has some sense of themselves as people which is great to see. There’s a real push to make sure they are people, not just names or additions to Jacob Greene. Several of these characters are obviously powerful women – the head of the Rakshasa, Antoinette, Dorothea to name a few. And the main enemy is Esther – Jacob’s sister; she’s evil, she’s demonic and she’s incredibly powerful. Not only is she powerful but Jacob fully accepts that at all times – even when it comes to pure physicality like wrestling. Jacob is never ashamed or reticent in admitting that Esther is better than him, more dangerous than him, knows more than him and is stronger than him. Jacob is extremely powerful – but he never fails to acknowledge the greater skills and powers of anyone around him – and definitely not his sister.